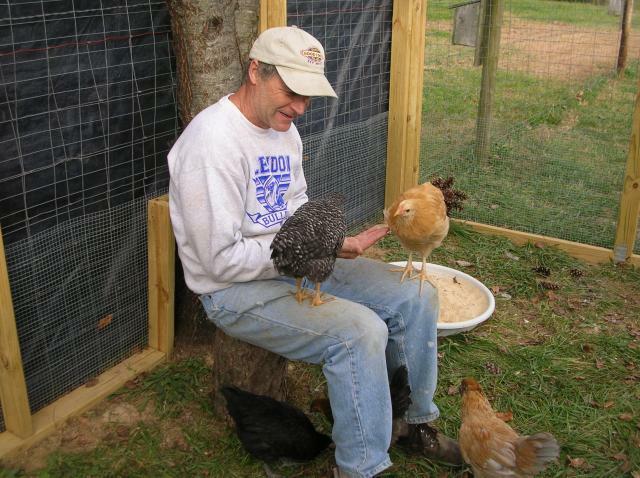 My husband, son, and I live in southern Indiana with our two dogs, Diesel and Ripley and three cats (Socks, Oscar, and Angel). 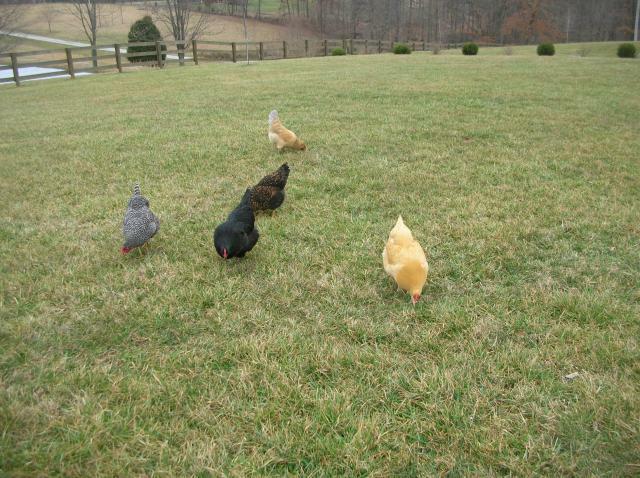 We enjoy having a small, mixed flock for pets and eggs. 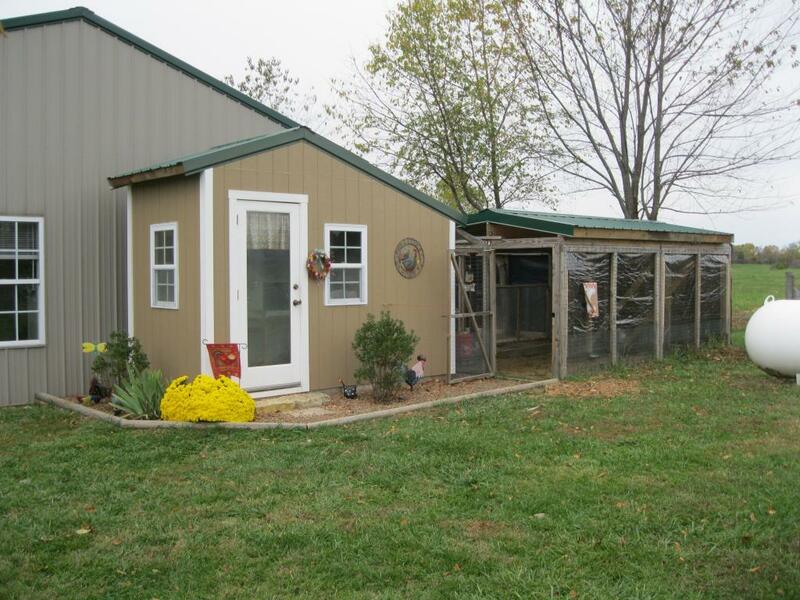 Our coop started as single coop with a "chicken porch." 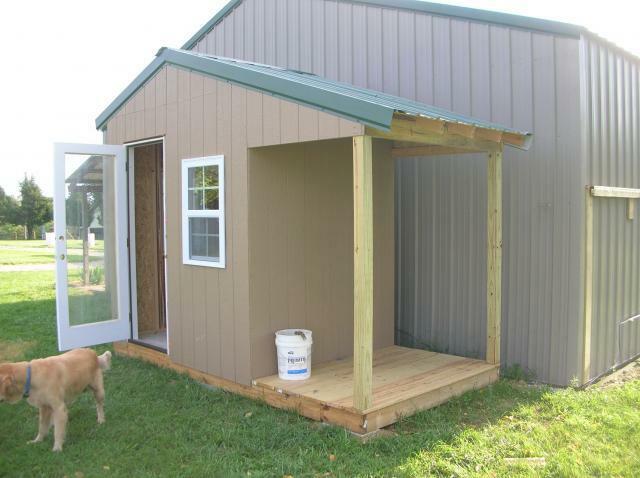 Later, when we added girls, we enclosed the porch area to add another 24 sq. 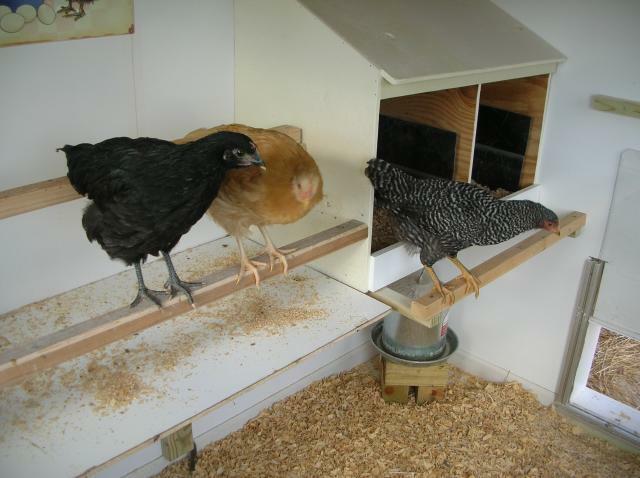 feet to the coop. 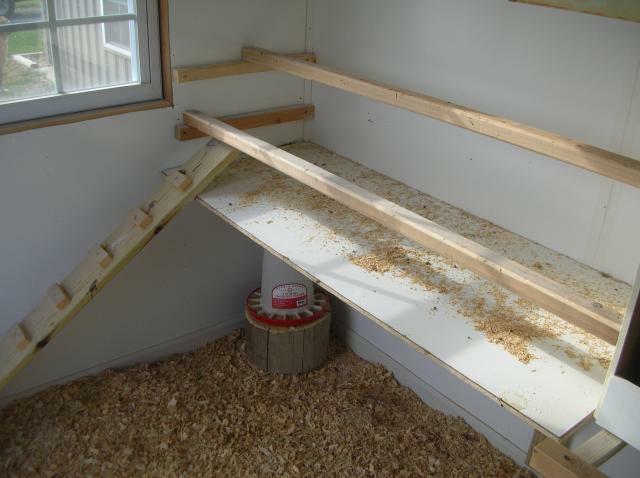 1) We built the 6'x 12' base of the coop in the garage using treated 2x6"s. The 6'x4' section at the end is the "chicken porch," which leaves @48 sq. ft. for the girls themselves. We added vinyl flooring (for easier clean-up) and deck boards while still in the garage. We used the tractor to drag it out to the site. It sits on cinder blocks leveled on gravel. 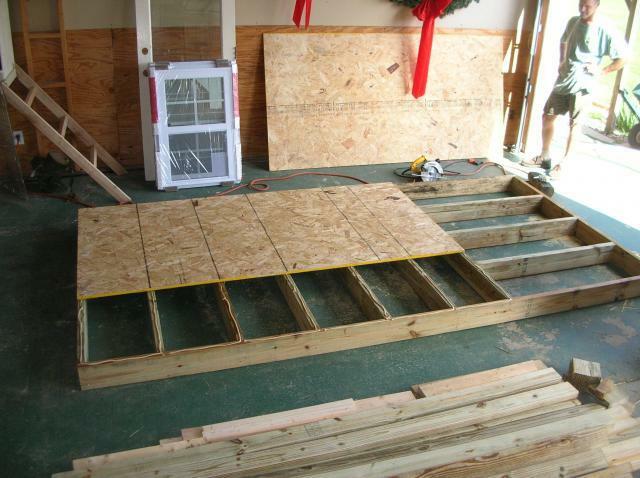 2) We began framing the walls. 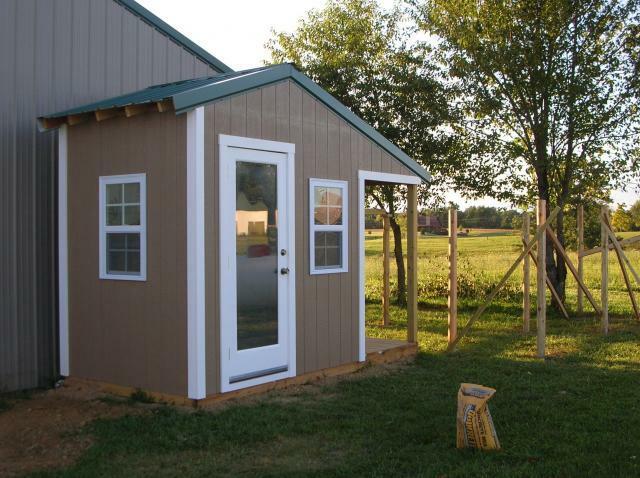 We built the back wall completely (including skin) BEFORE adding it to the base because there's limited work space between the coop and our garage. Then the rest of the walls went up. 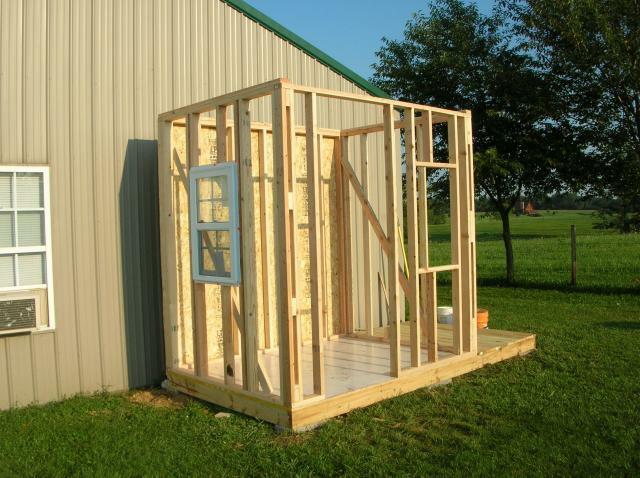 We framed for 2 windows so that we could get a bit of a cross breeze in warmer months. 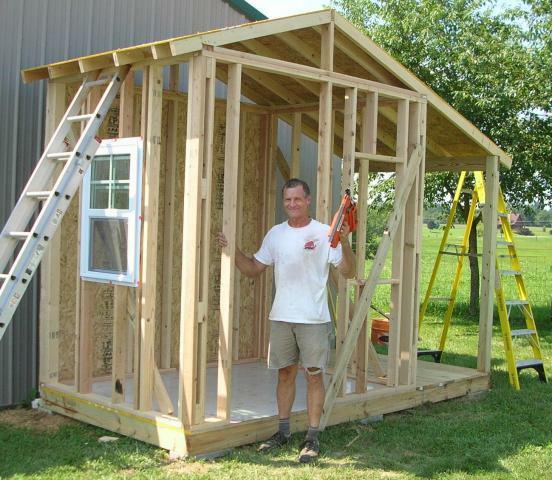 3) The roof was framed so that the pitch on the trailing side would be similar to that of the garage (4: 12 pitch). 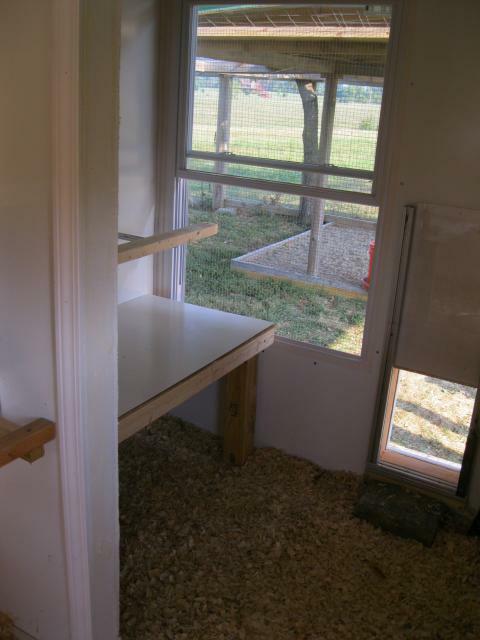 And you can see how the "chicken porch" will look. 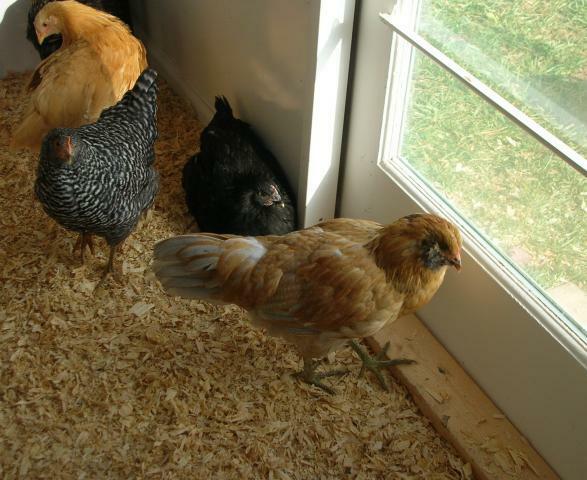 The pop door will open onto the chicken porch. 4) We painted the T1-11 siding before putting it up. 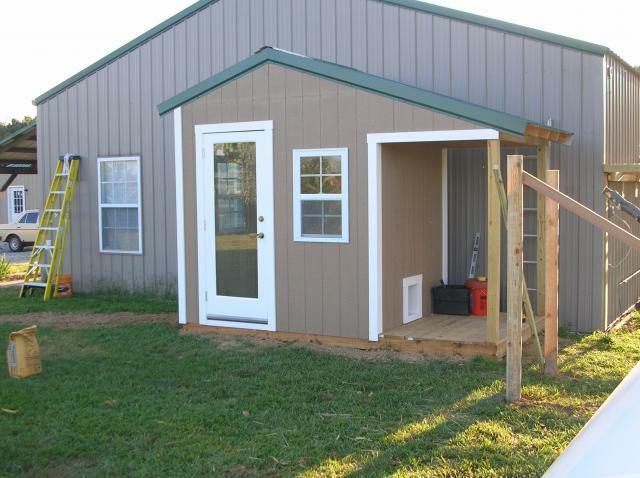 The metal roofing is some we had left over from the workshop we built last year. The door is of double paned glass, and came from Salvation Army ($19.99). The windows are also double paned, and came from Home Depot. 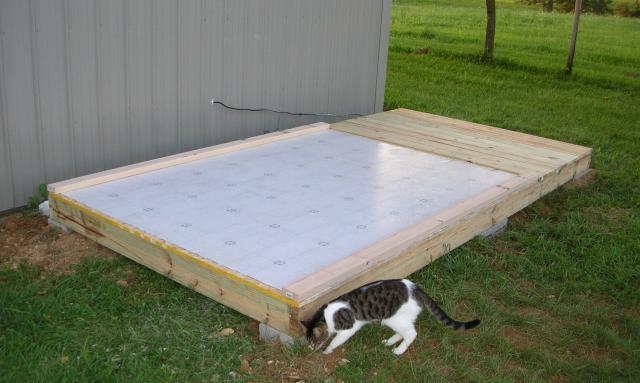 5) Next came running electricity, and cutting out the pop door and ventilation openings. 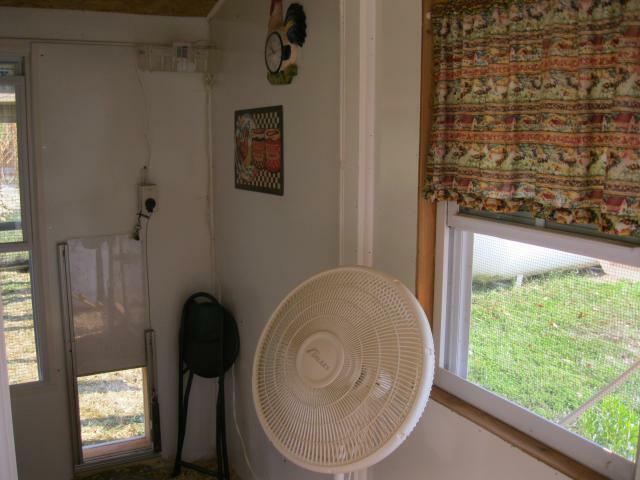 We put our ventilation up high in the back wall facing the garage to avoid high wind/rain issues. Caulking, touch-up paint, and trim followed. 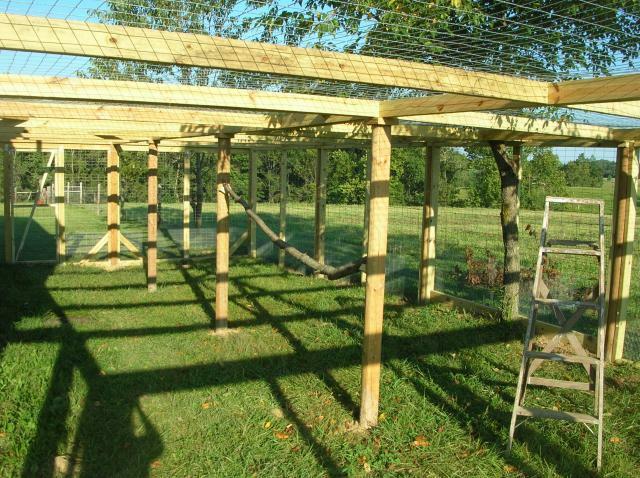 6) The run was slowly being built as the coop was going up. We sank treated landscape timbers for posts, because they were cheaper than 4x4 posts, and because we had several left over from a landscaping project. Next, we built framed 96" x 72" panels from treated 2x4s (nailed welded wire onto these frames), and screwed these onto the posts. 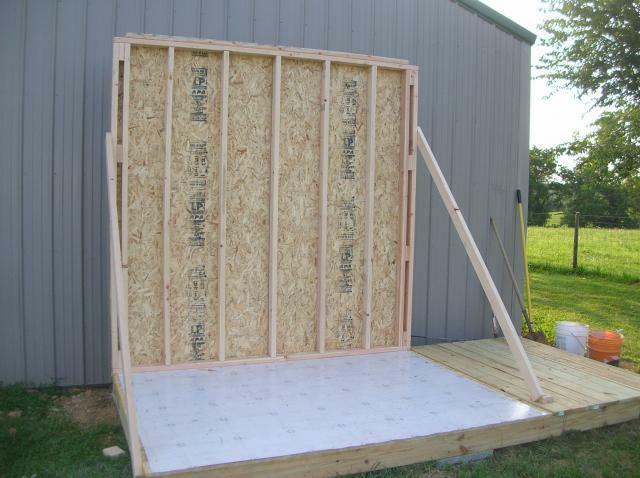 This way we can remove panels if we want to expand. Similar 96" x 96" frames were used on the top of the run as well. The side panels also have hardware cloth over the bottom portion. Our run is 16'x 36' currently, with room to expand another 16'x16'. 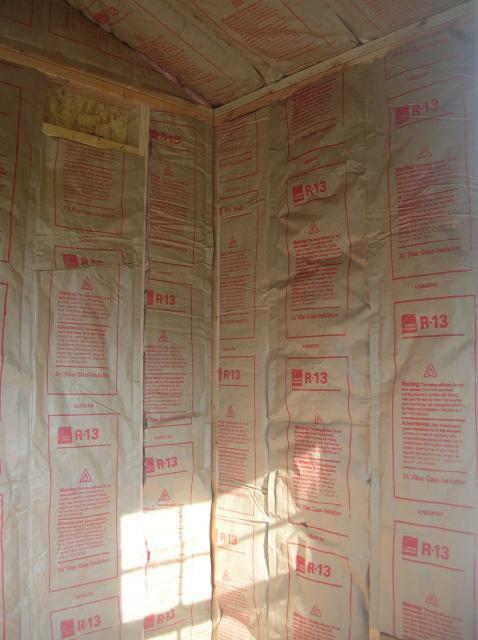 7) Insulation came next. 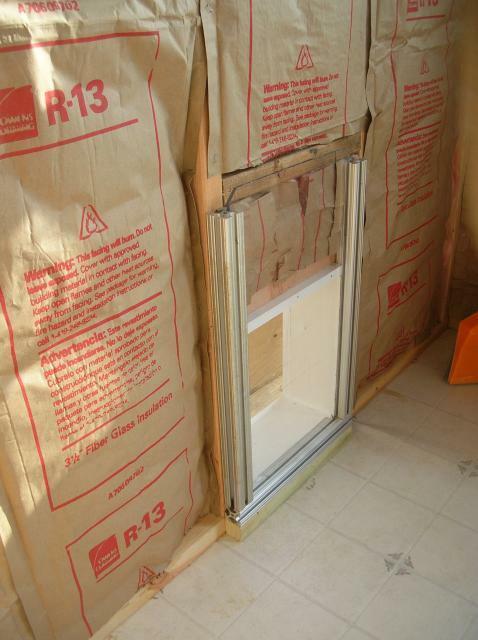 We covered the insulation with a kind of slick, flimsy paneling that came from Home Depot. It was fairly cheap, and is very easy to wipe down. We just used plywood to cover the ceiling portion. 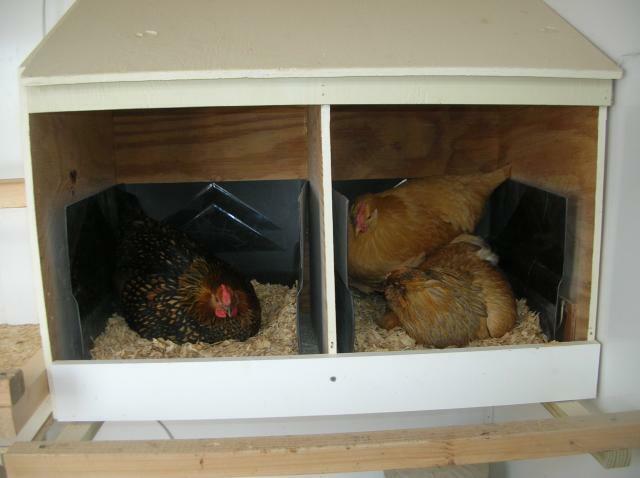 8) Finally, the nexting boxes, roost, and dropping board were added. 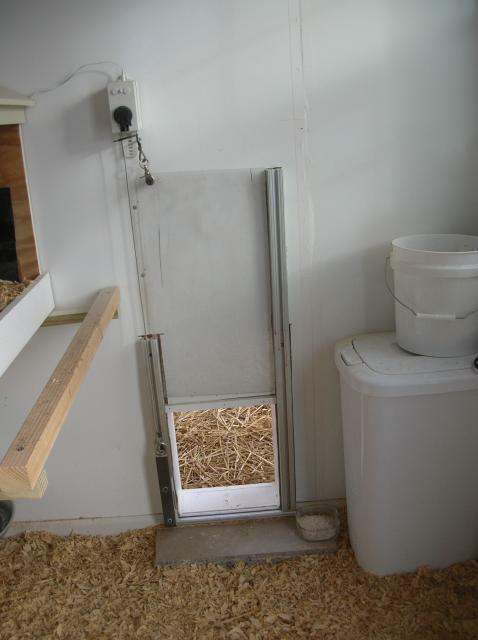 The pop door originally was on a pulley system, opened/closed from outside the coop. But in December, DH put an automatic door opener together for me. 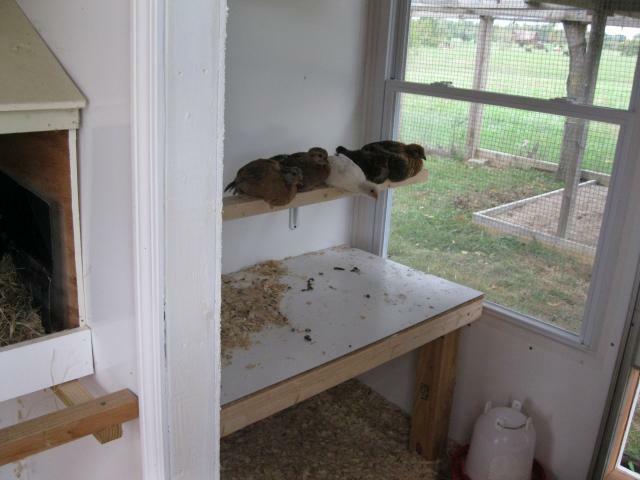 The pop door itself is of Lexan, so it's another way to allow light into the coop. Yep, as the above paragraph suggests, always build bigger. 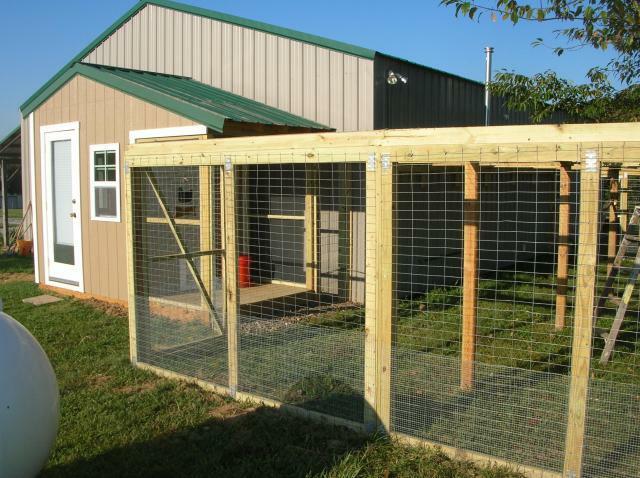 I wanted to add chickens, and didn't want to build another coop (we already have two), so we decided to remodel our walk-in. 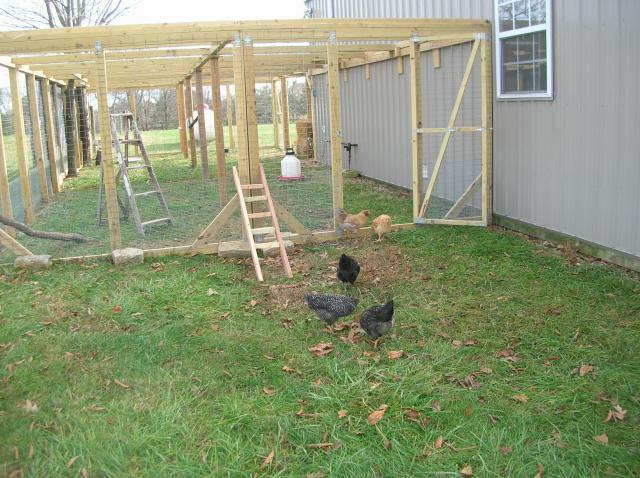 So I framed in the chicken porch (It was already roofed, a huge plus! 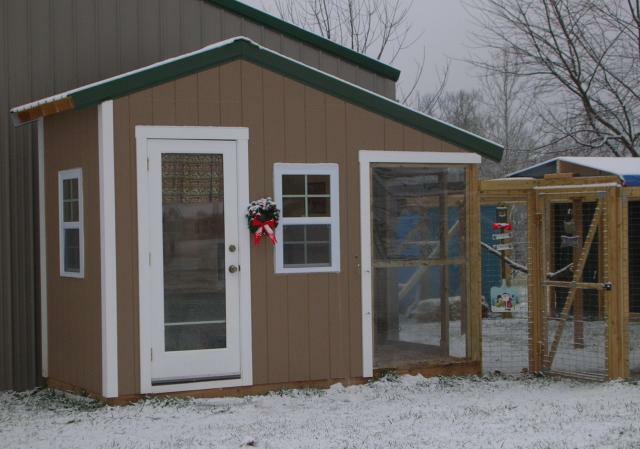 ), sided and insulated it, knocked out MOST of the north wall (where the pop door had been before), and voila' - our 6x8 coop became a 6 x 12 coop! 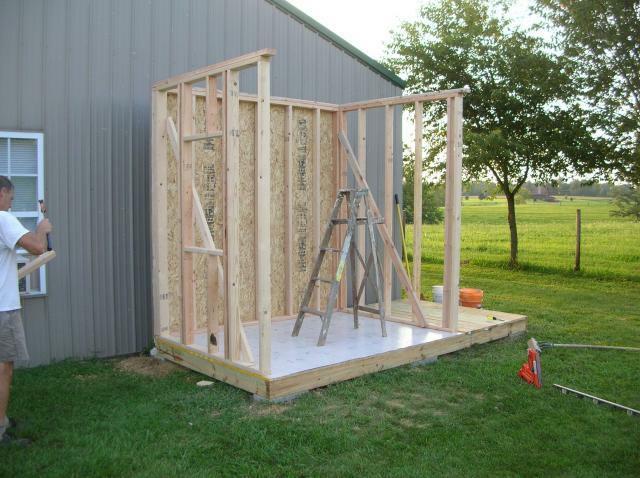 I left about a third of the existing wall in place, so that it would feel a little like two separate areas. I added a roost to that side. 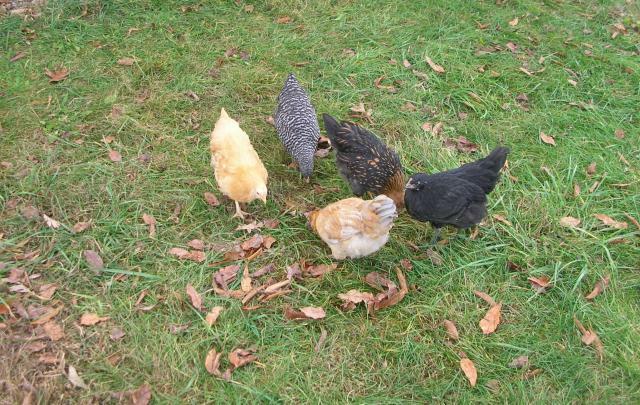 Because the areas are somewhat separated, I was able to move my newbies in when they were still little, with almost no harrassment. We also roofed a 12 x 16 section of the run. Where the door frame looking area is - that's where the wall was before. The new pop door was simply moved 4 foot north. I found the double hung, double paned window on CL for $25 - brand new. 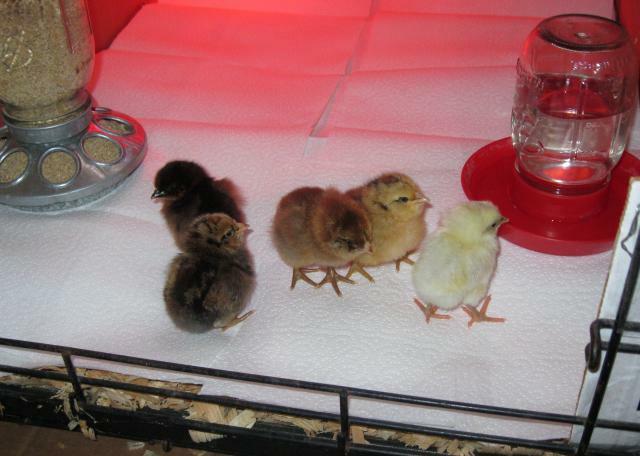 So the new pullets have plenty of light. 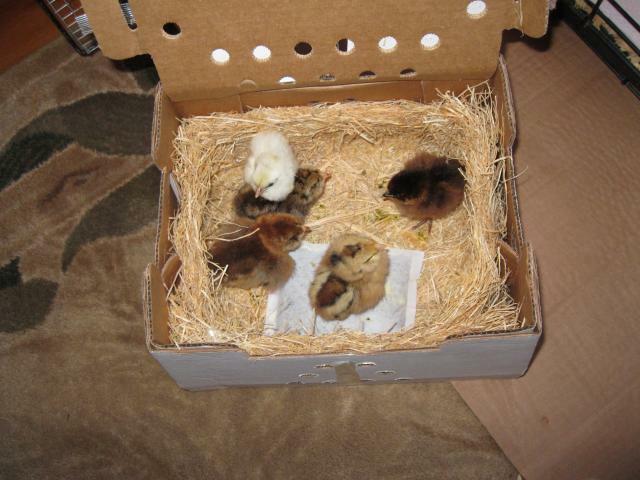 Sept. 16 - We opened the box (from MPC) and this is what we saw...they look so scared. There are actually five, but who would know? 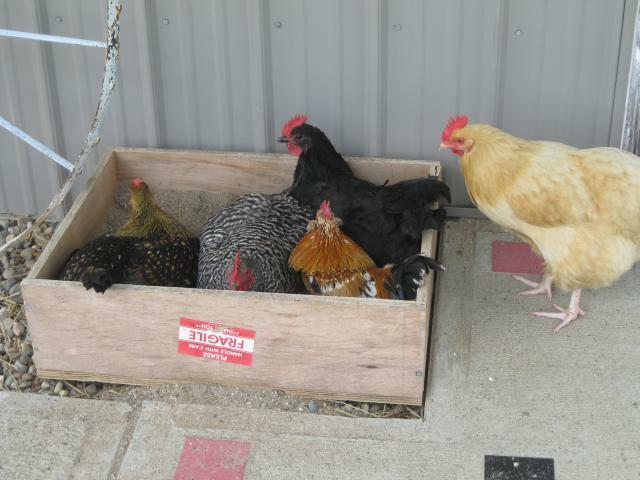 The girls hanging out in the garage last winter...staying out of the snow. 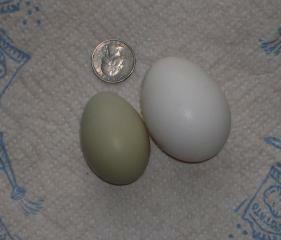 Our first egg, complements of Ginger! She was almost 20 weeks old. It's the little green one. 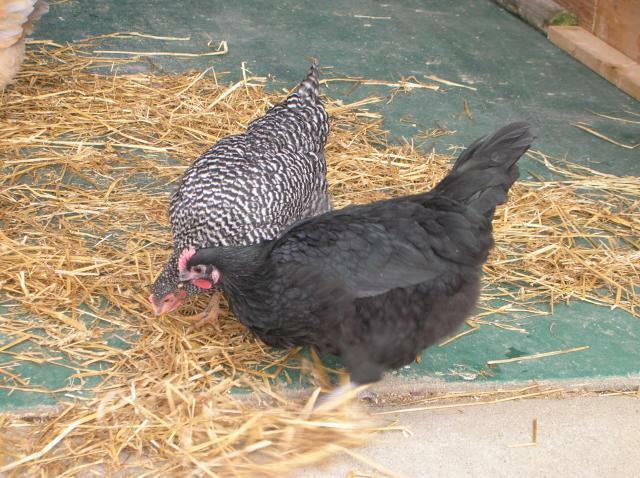 Dixie and June Bug were next. 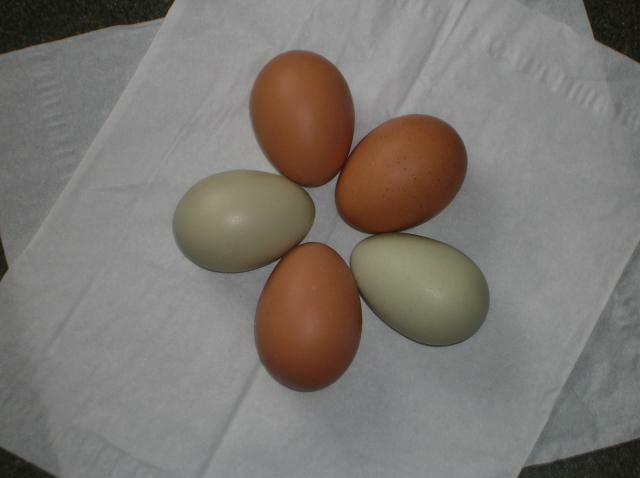 They both began laying the 2nd week of February....pretty little brown eggs. 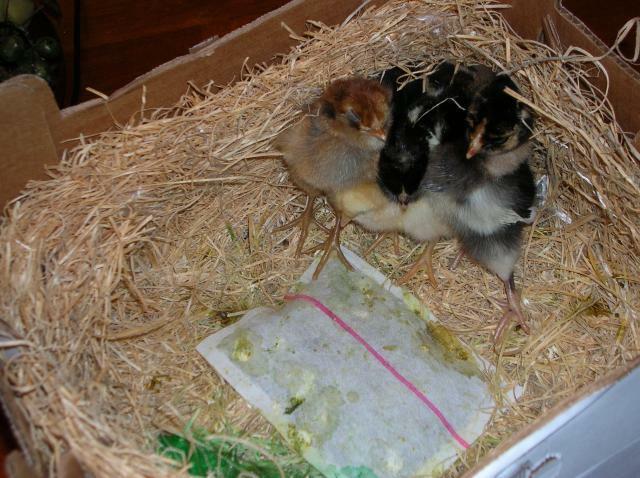 By Feb. 21, 2010 all the girls were laying. 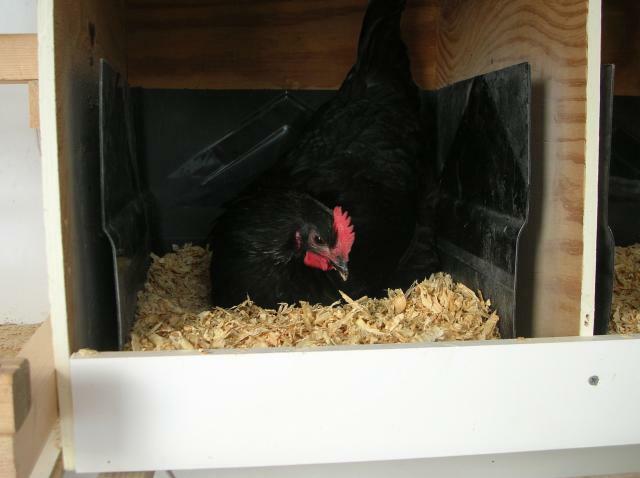 June Bug in a nest box...she's a pretty girl! 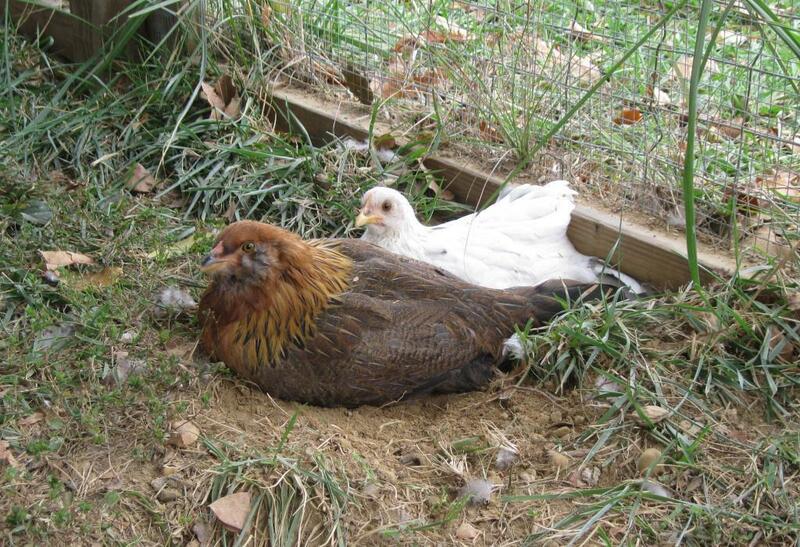 Mary Ann was tired of waiting and couldn't hold it any longer, so she squeezed in behind Ginger to lay her egg. Daisy is in the other nest. 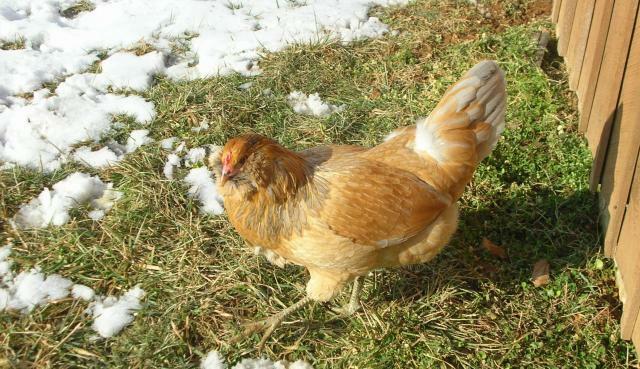 RIP Ginger, our little EE, summer 2010. 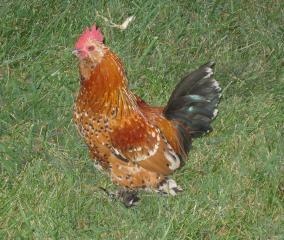 This is Earl, who joined us summer 2010. I was not especially thrilled with DH's choice, as the little fella had a horrible case of scaly leg mites PLUS lice (well, technically I only SAW one louse, but I'm sure he had buddies around somewhere). So during his quarantine time, we treated Earl with Adams Flea and Tick spray and Ivermectin, and worked faithfully on his feet. Every two days he'd get a warm foot soaking. We'd gently brush his feet with a soft bristled toothbrush, dry, and liberally coat his feet/legs down with vaseline. We also had to cut off his pretty beard, as it was full of nit masses...yuck! 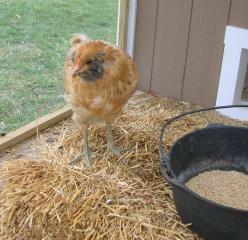 However, he is now healthy and clean, with beautifully feathered feet/legs. This is so nice, I'm wanting to re-do mine. Great coop even before you expanded and good grief but that run is huge and solid. This looks amazing, definitely done right. I just wish there were plans and a way for it to be recreated. Btw I'm jealous of your run!! That is awesome! 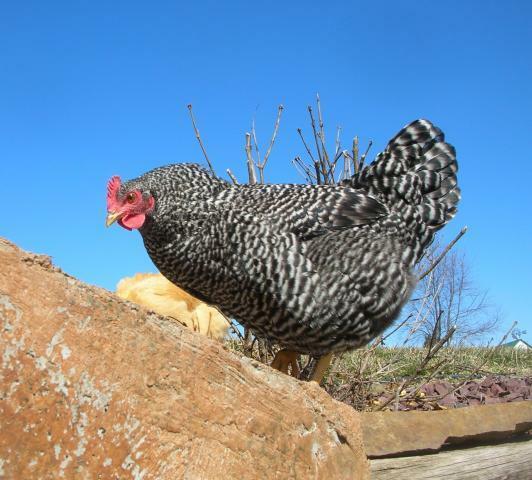 Love your birds and love your coop! 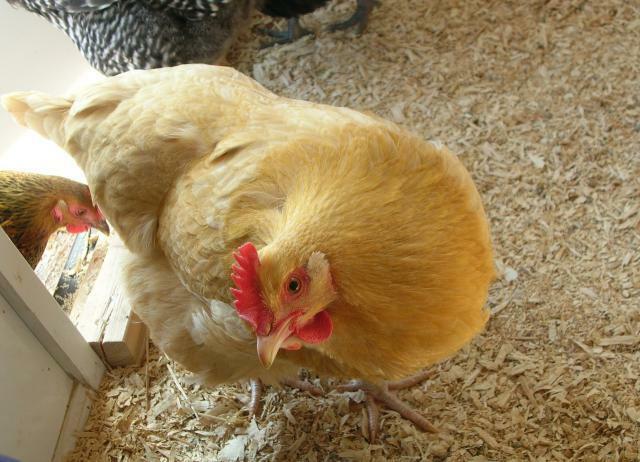 I came across a pic of your roosts on another post which led me here. I like the design with the double bars. Would you mind telling me how far apart they are from each other vertically and horizontally? 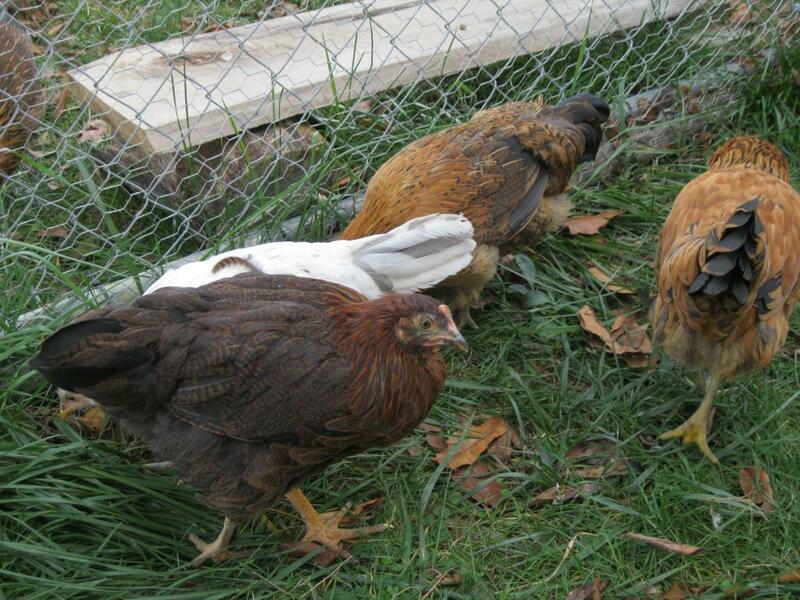 If you don't mind I want to copy your design My husband is going to try to finish my first coop tomorrow!! thanks! Wow! 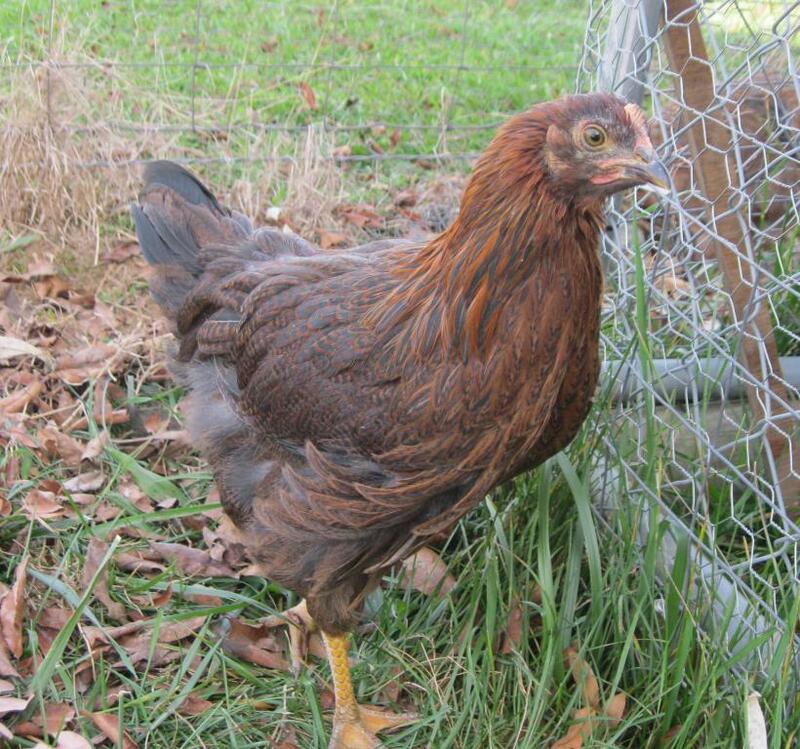 Very pretty coop! Nice and spacious run! 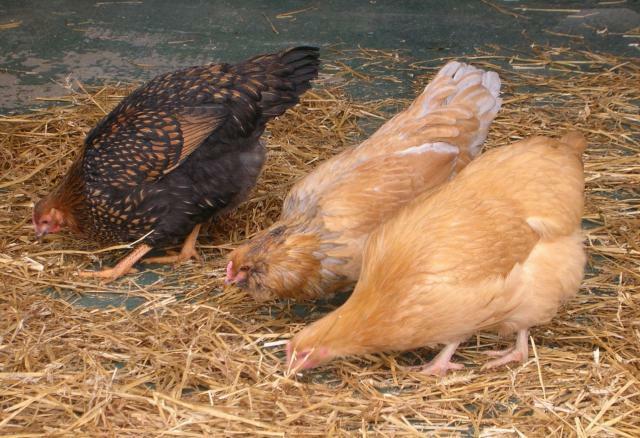 Cute chickens! Just discovered this thread now -- WOWZERS. I'm impressed...and also a little jealous! Thanks! 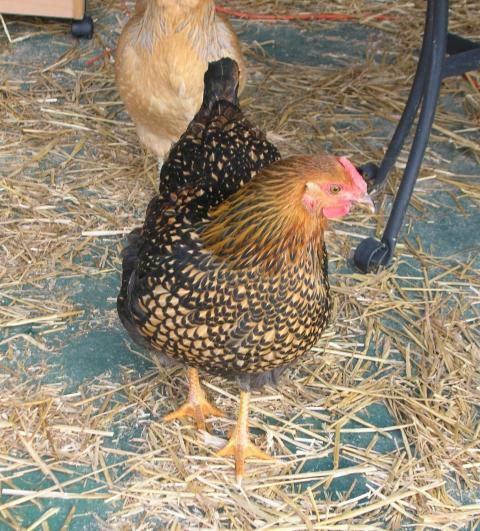 I am partial in thinking my ladies are pretty birds Earl's not too shabby either...lol. 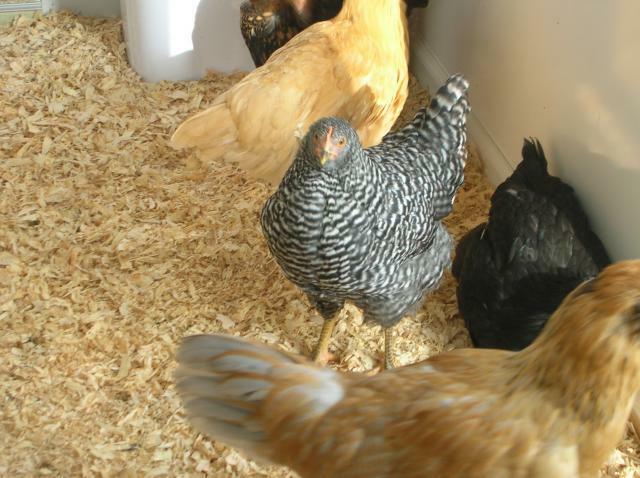 Fantastic looking coop and chicks! They're living the life for sure! I especially love the pic of one of your girls taking a ride on the dog! 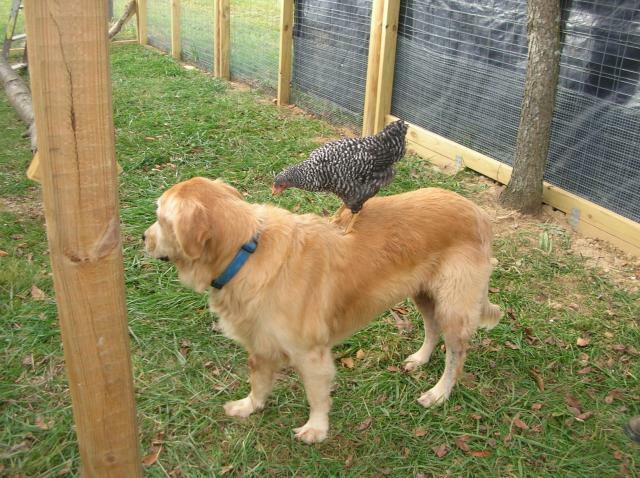 My Golden Retriever thinks the birds are for catching and playing with(?). He just gets hyper - he's older, so I guess he doesn't want new playmates! 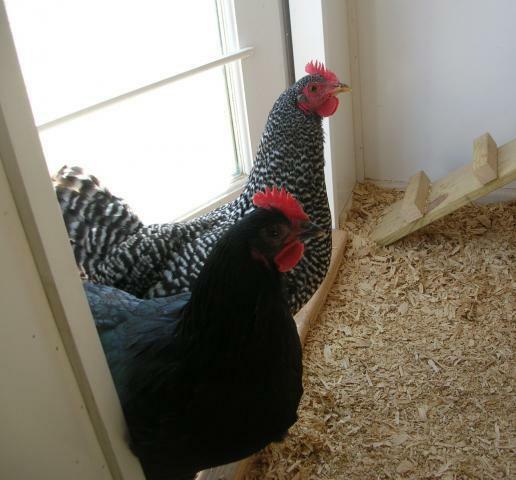 The coop and run are great! 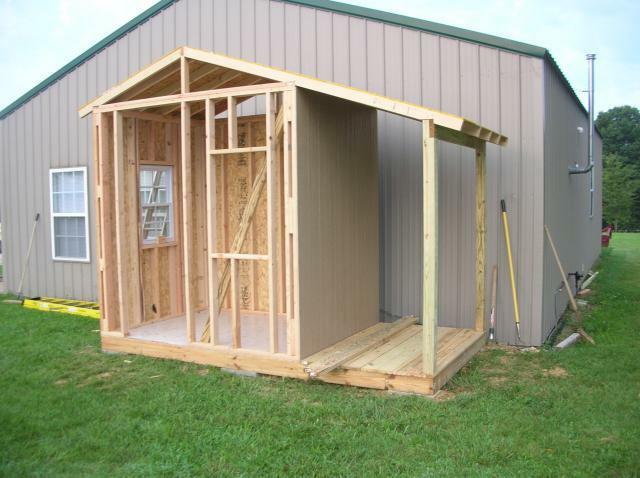 Getting ready to build my second one - are y'all available to come down here and help? x2 on the run! OH YEAH! Beautiful birds too. 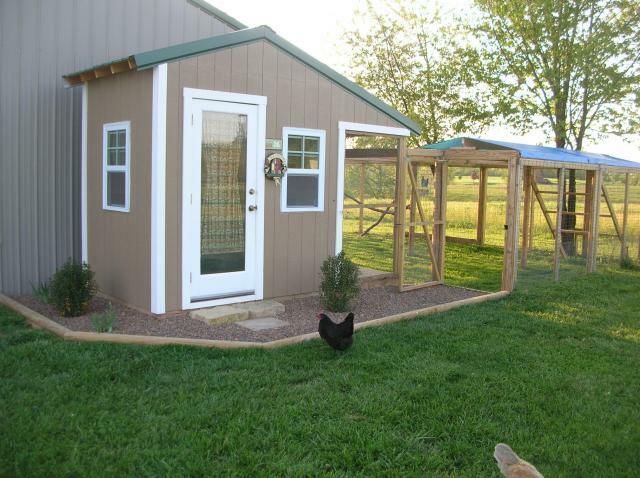 Great looking coop, Love the run!